Port Augusta is centrally located at the head of Spencer Gulf, 322 km north of Adelaide. The city is also known as "cross roads of Australia" because of its strategic position at the junction of three major Australian highways, and two railway lines. 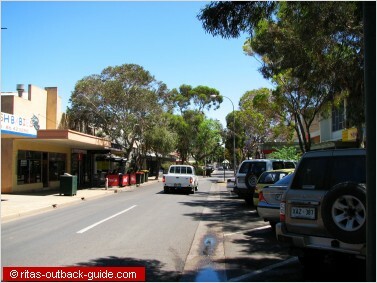 Additionally, it is called the gateway to the Flinders Ranges and the Outback. Whichever direction you go from here, the Australian Outback is never far away. With a population of over 13,000, Port Augusta is the fifth largest city in South Australia. 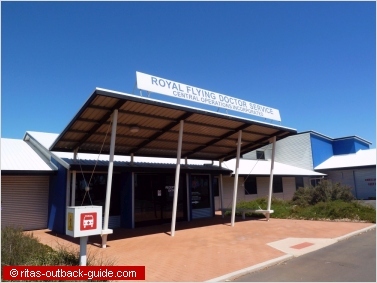 This makes it the ideal place for travellers to explore the attractions of Port Augusta and the surrounding areas, the Flinders Ranges for example. Relax a couple of days and stock up your supplies before you head to the loneliness of the Australian Outback. Matthew Flinders explored the northern Spencer Gulf area in 1802. Like other explorers he searched for the legendary Australian inland sea, and water supply in general. In the 1840s pastoralists settled in the Flinders Ranges. A port was needed to cart wool and wheat to England. After several droughts, many of the pastoralists gave up, and the importance of the port faded in the early twentieth century. Luckily, the government decided to built the Transcontinental railway across the Nullarbor to Perth, and established the railway headquarters in Port Augusta. The town benefited from the railway ever since. Today, Post Augusta is an industrial city, with the huge power plant burning the brown coal from Leigh Creek, and supplying about 40 % of South Australia with electricity. Update: The last coal train from Leigh Creek to Port Augusta arrived early in April 2016, one month before the city's coal mines closed down. City Centre - Commercial Road is one of the main shopping areas and one of the oldest streets with several historic buildings and pubs. Watch out for signs with the route of the interpretive walk, photos and describtions of the historic buildings. Stock up your supplies at supermarkets and specialty stores. Shopping in the city is definitely cheaper than in the Outback. The quiet waters of the Spencer Gulf are not far away from Port Augusta's city centre. Enjoy a day at the foreshores. Swimming beaches are on both sides of the gulf. Swimming pontoons, jetties for fishing, walking trails, playgounds, and barbecue areas make the city foreshores beautiful recreational areas. The centre is an award winning tourist attraction, very much worth a visit. "Wadlata" is an Aboriginal word, which means to "teach or communicate". And that's what you get, an enthralling lesson in "The Outback's Tunnel of Time". Begin your virtual journey 15 million years ago when dinosaurs roamed the land. Discover the evolution of the Australian Outback and the Flinders Ranges. Listen to Aboriginal stories, follow Akurra, the rainbow serpent, back to the times when the land was created. Join the early explorers on their daring journeys to open up this unknown country. Watch films, for example "Back of Beyond" about the Birdsville Track mailman Tom Kruse, enjoy the interactive displays, learn about the Australian Outback and the ancient continent Australia. The 200 ha garden introduces visitors to the unique flora and fauna of Australia's arid regions. The garden is a paradise for birdwatchers. Bring your camera, binoculars, and plenty of time. Pick up a brochure at the visitors centre (open 9.00am to 5pm Mon - Fri and 10am to 4pm on weekends) and explore the garden on your own. Guided tours (for a fee) are available at 10 am on weekdays. Otherwise, it is free to explore the The Australian Arid Lands Botanic Garden. The garden is open from 7:30 am until sunset. From the Arid Lands Garden, take a short walk to Redcliff lookout, also known as Matthew Flinders lookout. The views over the northern end of the gulf towards the Flinders Ranges are stunning, especially at sunset. Pichi Richi Railway - This is a historic train journey from Port Augusta to Quorn, a must do for railway enthusiasts. A steam train follows a part of the famous Old Ghan Railway line through the Pichi Richi Pass to Quorn. See beautiful scenery on the legendary Afghan Express. Local tour operators conduct a wide range of cruises and tours. Enjoy a sunset tour on Spencer Gulf, or discover the secrets of surrounding Outback regions. 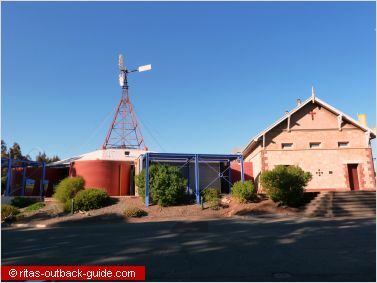 For more tour information and bookings contact the Visitor Information Centre: Wadlata Outback Centre, 41 Flinders Tce in Port Augusta. 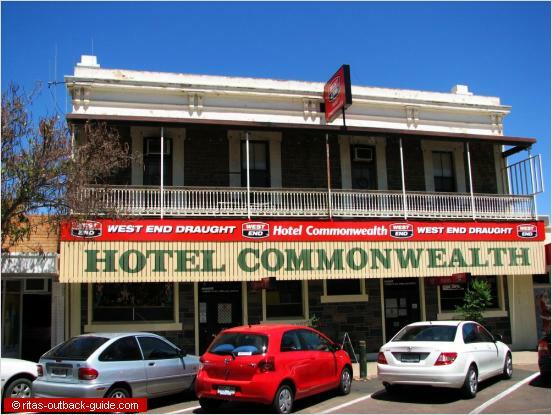 Accommodation in Port Augusta suits all budgets and styles. Stay a couple of days before you head off to the Australian Outback. Remember, Port Augusta is called the cross roads of Australia. You have quite some choices to travel from here, and most destinations are very far away. 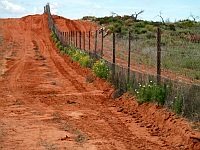 Apart from hotels and motels, Port Augusta offers two caravan parks, backpacker hostels, and other types of accommodation. Port Augusta has a few grand old hotels. Some of them have modern motel units in the backyard. Others invite you just for a great Aussie meal. Please use the search box below to check out prices, availability and accommodation styles in Port Augusta. Port Augusta has a desert climate with hot & dry summers, and mild winters. 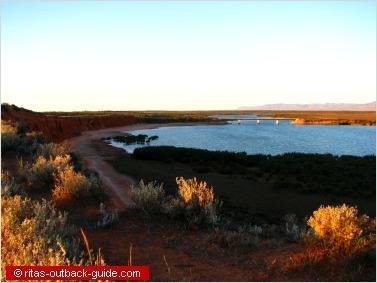 For more information on Outback South Australia check the following pages.